Wherever Masons gather there will be but one Brother Bruce, as he is affectionately known and called throughout the length and breadth of Texas, where he served the Craft so faithfully, and with such distinction in 1947. Brother Brannon was born in Mounds, Illinois, November 12, 1900, and shortly thereafter was carried to Arkansas by his parents, where he grew up, attending public school in Newport and Walnut Ridge. Brother Brannon attended Arkansas College at Batesville, graduating with a B. A. degree and, pursuing his early determination, entered Austin Presbyterian Theological Seminary in 1925, graduating in 1925 with a B. D. degree. Immediately thereafter he entered the ministerial service and has held pastorates at Laredo, Hillsboro and is now located at Commerce. Raised in Pierce Lodge No. 144, A. F. & A. M., Calvert, Texas, July 29, 1927. 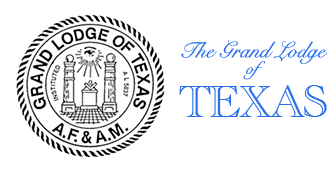 Affiliated with San Marcos Lodge No. 342, A. F. & A. M., San Marcos, Texas, August 7, 1929. 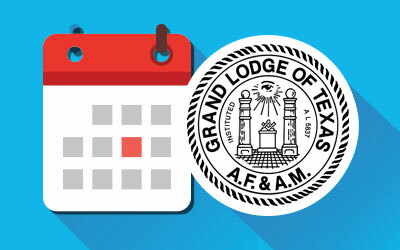 Affiliated Laredo Lodge No. 547, A. F. & A. M., Laredo, Texas, March 15, 1930. Affiliated Hillsboro Lodge No. 196, A. F. & A. M., Hillsboro, Texas, February 5, 1940. Now a life member of Hillsboro Lodge. Affiliated as a dual member of Commerce Lodge No. 439, Commerce, Texas, May 13, 1946. Served as Worshipful Master Laredo Lodge No. 547, A. F. & A. M., Laredo, Texas, during the year 1935. D. D. G. M. of the 41st Masonic District 1937. 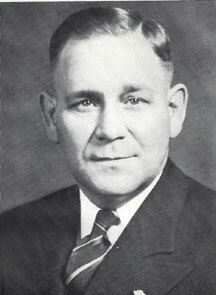 Grand Chaplain of the Grand Lodge of Texas, A. F. & A. M., during the years 1941 and 1943. Member of the Grand Lodge Committee on Masonic Service and Education 1938-39-40-41-42-45-48. Served as Grand Junior Warden, Grand Lodge of Texas 1944. Served as Grand Senior Warden, Grand Lodge of Texas, 1945. 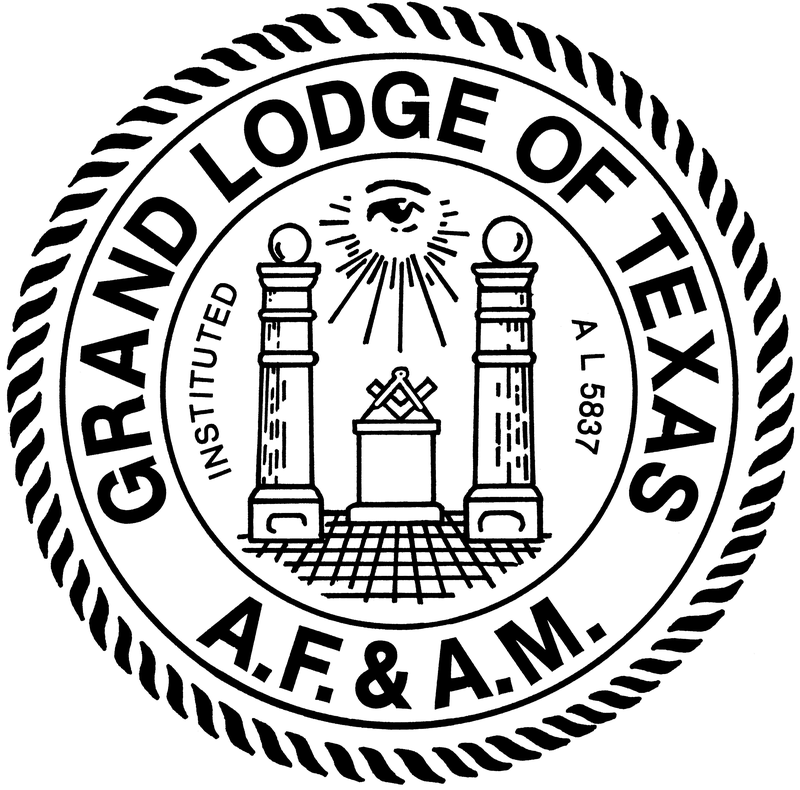 Served as Deputy Grand Master, Grand Lodge of Texas, 1946. Most Worshipful Grand Master 1947. Exalted Royal Arch Mason in the San Marcos Chapter Royal Arch Masons No. 129, April 25, 1929. Now a member of Hillsboro Chapter No. 152, Royal Arch Masons. Served as High Priest of the Hillsboro Chapter No. 152, R. A. M., 1942. Given honorary membership Commerce Chapter No. 201, R. A. M., September 16, 1946. Hailed and greeted a Royal and Select Master in San Marcos Council, Royal and Select Masters, May 23, 1929. Now a member of Hillsboro Council No. 94, R. & S. M. Served as R. I. D. M. Hillsboro Council No. 94, R. & S. M., 1942. Given Honorary Membership in Commerce Council No. 139, R. & S. M., September 16, 1946. Made a Knight Templar in Hillsboro Commandery No. 39, K. T., Hillsboro, Texas, April 21, 1941. Served as Commander of Hillsboro Commandery No. 39, K. T., 1943. Received the 32nd Degree in San Antonio Consistory Ancient Accepted Scottish Rite, San Antonio, Texas, on November 13, 1930. At present, a life member of San Antonio Consistory. Elected K. C. C. H. November, 1947. Initiated a member of the Mystic Shrine in Alzafar Temple, A. A. O. N. M. S., San Antonio, Texas, November 14, 1930. Now a member of Karem Temple, A. A. O. N. M. S., Waco, Texas. Received the Orders of the Red Cross of Constantine in St. Timothy Conclave, Fort Worth, Texas, March 30, 1946. Brother Brannon and his charming wife are the happy and proud parents of three fine boys and two lovely daughters. Their oldest son served in the United States Navy during World War II and is now studying to enter the ministry at the close of his college education. To fully record in the short space here allotted the many things that distinguished Brother Bruce as an American patriot, a distinguished citizen of Texas, an outstanding minister of the Gospel, a Freemason and a friend of every man is not only difficult but impossible. The Grand Lodge of Texas has a history of romance and tradition second to none, and to this great history and proud tradition Bruce Brannon, the man and Mason, has added much, and in the years that lie ahead, when a true history is written of the Grand Lodge of Texas, the life, activities and examples set by Brother Bruce will occupy one of the most prominent places in that history. He is the first ordained minister to serve the Grand Lodge of Texas as Grand Master. He is the only elective Grand Lodge officer to have been installed in a foreign jurisdiction, this being accomplished at San Francisco in 1944 when through the courtesy of the Most Worshipful Grand Lodge of California he was installed Grand Senior Warden. He is the only Grand Master in Texas to have twice worn the uniform of the armed forces of our nation in two major wars, having served with honor and distinction as a seaman in the United States Navy in World War I and as a Chaplain for three years in World War II in the United States Navy. While a Grand Lodge officer and wearing the uniform of the United States Navy in World War II he was stationed in New London, Connecticut, as Station Chaplain of the United States Guard Training Station, was Ship’s Chaplain on the U. S. S. Republic, one of the large troop carriers in the Pacific, and Base Chaplain in the Russell Islands and at Noumea in New Caledonia. While in the Pacific area he was most active in all the Masonic Square and Compass Clubs of the various islands where he was stationed or which he visited. During the year that he served as Grand Master the message that he carried to the many thousands of Brethren who heard him in more than one hundred Masonic visitations was built around the theme “Militant Master Masons.” From his Masonic experience, his experience in two wars, and as an ordained minister of the Gospel, he was indeed well qualified in inspiring the many who heard him toward leading a life of service based upon the Brotherhood of Man and the Fatherhood of God. No man who has occupied the high position of Grand Master has stepped down from that position carrying with him more affection and admiration than R. Bruce Brannon. “Honorably discharged when his services were no longer needed, he returned from hostilities steadied by discipline; broadened by experience and observation; mellowed by contact with `man’s inhumanity to man,’ apparent everywhere he served his country; and chastened by years of absence from his loved onesthis sailor-preacher returned to his charge… . “Your committee believes that his administration of the duties of his office, just at what seemed to be and we hoped was the end of the world’s greatest catastrophe has been marked with diligence, efficiency, wisdom and conservatism and will rank with Masonic historians as among our BEST…. “MOST WORSHIPFUL GRAND MASTER, R. BRUCE BRANNON, God bless you, Sir, for the work you have done for Freemasonry and the church of your choice; and for the service you have rendered your country in two wars, in foreign lands, on the high seas, and here at home. “God give you, and us, the PEACE you have fought for, and restore you completely to your life work, but keep you active and interested in this great and honorable Fraternity we love so much and you have served with such fidelity and distinction.